A basic rule in the age of the smart phone is to assume everything you say, unless you take very careful precautions, is recorded. There really is an app for that. Dozens actually. Jody Wilson-Raybould is many things but she is not an idiot and she will have recognized that the PMO was willing to spin and possibly lie to get its way. Whether on SNC-Lavalin or SCC appointments or any other file it took an interest in. I have to bet she had a smart phone. The transcripts will be interesting however the raw recordings where they exist will be much more interesting simply because “tone” is important in the sorts of conversations Ms. Wilson-Raybould recorded. One snippet of Justin yelling at her and he’s done. Alberta’s truckers are planning to drive to Ottawa in February to express their displeasure with the feds refusal to get on with building pipelines and the lunacy of the Trudeau carbon tax. Leaving aside the rigours of driving the trans-Canada in February, this is a very un-Canadian sort of activity. Because it is activity. Canadians normally sit around the bar grumbling, they don’t “do” anything which is what our masters in Ottawa and the provincial capitals count on. While the truckers are driving in protest, an Alberta rancher is taking a stand against that province’s carbon tax. Remembering that Alberta’s Premier originally introduced the carbon tax to, somehow, gain social licence for the much-needed pipelines and noting that those pipelines have not even been started, rancher Sheila Griffith is refusing to pay the carbon tax portion of her propane bill. While the truckers will make better copy, Ms. Griffith represents a far greater threat to “business as usual”. If more than a few people join her the Alberta government will, quite quickly, notice a hole in its budget. Apparently, the propane company will just tack the unpaid portion onto her next bill – but it will not halt delivery. These two items, as well as the appearance of “yellow vests” at other Alberta protests, suggests that in Alberta at least, people are getting fed up with simply being ignored. They are getting fed up with the Tweedledum/Tweedledee routine of Trudeau and Scheer. Simple, direct, action will not change the Liberal’s fixation on the tax grab which is the carbon tax or the endless kowtowing to minority First Nations opposition to pipelines or Quebec’s reluctance to replace Saudi oil with Alberta oil. It might have a small effect on Scheer’s fixation on being so bland that he wins the next election by default (a bad strategy but apparently all he’s got.) What it does do is set up the conditions for a revolt at the ballot box come October. Right now Maxime Bernier needs to be in Alberta. He needs to visit and encourage Ms. Griffith and go to a trucker’s rally or two. Canadians are very reluctant to actually do “civil disobedience”. It is not who we are. The fact there are large protests tells me that, in Alberta at least, a tipping point has been reached. A smart, insurgent, politician and political party would be taking full advantage. Well, that was crushing: 61% of the 41% of eligible voters who actually voted rejected proportional representation and opted to stick with “first past the post”. Assorted lefties and millennials were unhappy. But, really, they have only themselves to blame. I rather like PR but none of the options presented on the mail-in ballot was worth having. Because the lefties who supported PR wanted to ensure that the PR they would have would avoid the possibility of actual “representation” for any but the NDP and the Greens while increasing the voting efficiency of those Green and NDP votes. I will leave it to voting wonks to explain the three useless choices presented as the PR alternatives; rather I will pay attention to a very simple idea which was, of course, not included. Essentially this is the system the Australians use to elect their Senate and it allows a wide variety of candidates to take a run for office with a decent chance of winning. It would also be a wonderfully upsetting experience for the current parties. MLA’s could represent everyone from my own favourite Wine Tax Freedom (WTF) Party to a party composed of First Nations people and on to Christian Fundamentalists and Antifa. With a 2.5% threshold, you can pretty much guarantee the First Nations party would hold four or five at-large seats. So could a Teacher’s Party or a Resource Extraction Party (see Suits and Boots). Recent immigrants to British Columbia could run their own lists as could Aged Bald White Guys such as myself. But this sort of radical democracy was not on the table in this referendum. Too scary for the NDP and the ultra-conservative Greens. Because real Proportional Representation was not on the ballot PR lost. 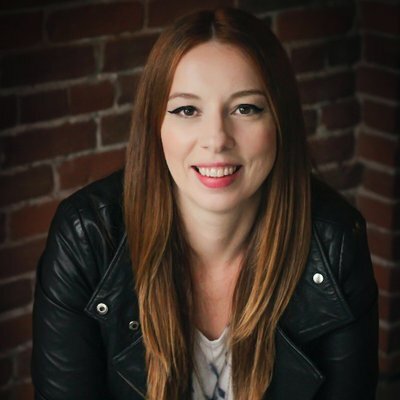 Twitter kicked Meghan Murphy off the platform and she’s pissed. Ms. Murphy touched the dreaded third rail. She suggested that women are women and if you are a man in a dress, well, you aren’t. The SJWs at Twitter were having none of that and Ms. Murphy was kicked to the tall grass. As she flew through the air it occurred to Ms. Murphy that, perhaps, this censorship was a bug, not a feature of left-wing identity politics. When my pal Dr. Dawg, he of impecable lefty credentials, left Twitter voluntarily, he did so because of a similar crisis of identity politics. Either you are with us or you’re a fascist howled the Twitter brigades. The SJW idea seems to be that self-identification trumps all and if you disagree, well, yer’a Nazi and you have no right to speak. Saves a lot of thinking time. Reasonable people can manage to hold somewhat contradictory ideas all at the same time. On the one hand a person self identifies as being of the opposite gender, on the other, that does not make him a woman or vice versa. I might, simply to save on smokes, self identify as a First Nations person. It would be incredibly disrespectful but, on the SJW logic, my choice has to be respected in the face of all evidence to the contrary. My total lack of recognition by any First Nation should not matter. It is possible, after a long journey and with a little luck, I might be “adopted” into a First Nations family and, with a ton of effort on my part, I might, maybe, be accepted as something of an adopted member of a particular First Nation. But I doubt it. Which is exactly right. Is it wrong to treat a man’s claim to womanhood or a woman’s claim to manhood with the same scepticism? It is always fun to watch a lefty realize that conformity of opinion is a requirement, not an option, on the more radical fringes of the left. As Lindsay Shepherd discovered, even suggesting that people analyze “the other side” is enough to have you dragged in front of what amount to heresy tribunals. And the only people who supported her were us crazed, right wing, free speech advocates. Ms. Murphy has, I suspect, made her career. Two weeks ago no one had heard of her or Feminist Current the webzine she edits, today she was invited onto the Dave Rubin Show and quasi-Con Ben Shapiro has a crush. Most importantly, Ms. Murphy has, as the expression goes, spoken truth to power and been kicked in the teeth for her trouble. She seems very smart, a good writer and more than capable of connecting the proverbial dots. A few days ago I put up a map of Canada which showed how much electrical energy each province got from renewables. BC, Manitoba, Ontario and Quebec all get the bulk of their electricity from hydro and nuclear. To understand this graph you need to go to The Chill of Solar Minimum. This is not “just weather” as the CO2 cultists like to describe any form of colder than expected conditions. This is one of the drivers of the earth’s climate and a basic component to climate. Now, there are scientists who don’t see this as a mere temperature drop. Habibullo Abdussamatov warns that a new Little Ice Age has begun. A highly qualified and highly regarded scientist, Dr Abdussamatov is Head of Space Research Laboratory at the Pulkovo Observatory of the Russian Academy of Sciences, St. Petersburg, Russia. CO2 sensitivity is an attempt to estimate the effect on teperature of a doubling of the CO2 in the atomsphere. We’re at about 400ppm now, what would happen if that went to 800ppm? 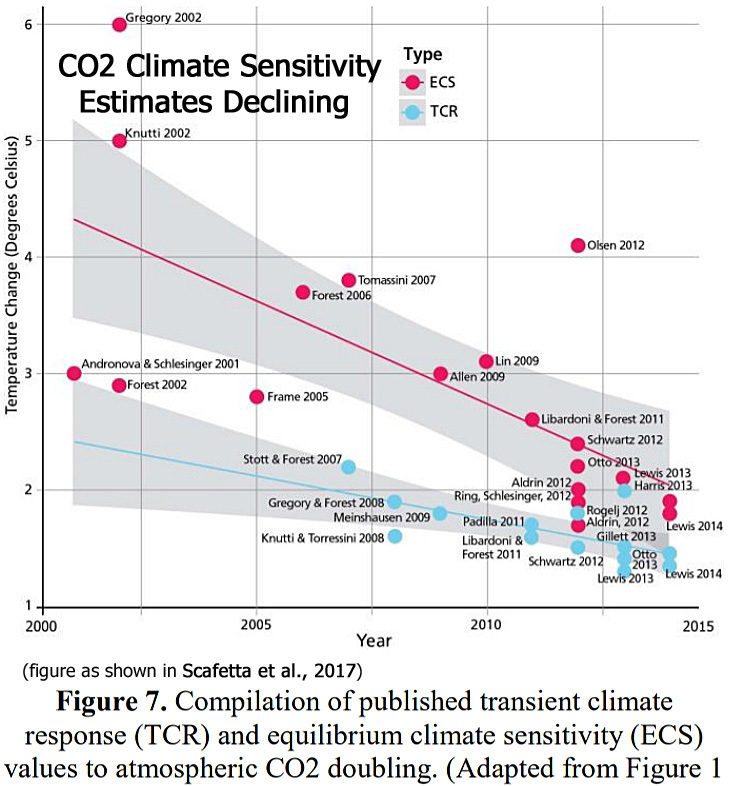 To get buy in for serious carbon taxes you pretty much have to say that 800 is going to lead to 2+ degrees Celius of warming and then try to make the claim that this level of warming will kill lots of us. As the science becomes more exact it is becoming clear that a doubling of CO2 is going to have a hard time creating 2 degrees of warming. Worth reading this post. I have argued for years that the science is not yet ready for policy purposes. But the Trudeau government and the Scheer Conservatives presume that Canadians are too dumb to notice that the science underlying a carbon tax or whatever dimwitted scheme Scheer is touting – apparently based on the failed Australian model – are going to cost a lot and change, literally, nothing. It is going to take a while for Maxime Bernier’s People’s Party of Canada to catch on. But Bernier is a climate sceptic and an economic realist. As people begin to realize that the “carbon” tax or cap and trade and, frankly, all the other non-solutions to a non-problem, are simply bogus ways of taking money out of their pocket, Max is going to become a lot more appealing. From my friends at Visual Capitalist. And I suspect he believes this. Why not? It makes easing into a post national world all that much easier. Maxime Bernier seems to think that this may not be true. So a suggestion for Max. While public choice theory is all very well, and right more often than not, music is visceral. It hits our hearts not our heads. The answer was Kendel Carson who you can see here with Alan Doyle of Great Big Sea singing Barrett’s Privateers in a none to sober evening in Halifax. And there is grand stuff from Quebec. Fiddles, a beat, and a calling back of traditional music. Poor Donald Trump seems to think that the pleasures of the Rolling Stones – not to be discounted – are the way to open rallies. Max needs to be smarter. Whether recorded or live, he needs to begin his own appeal for a better Canada with an appeal to our hearts. This music goes there. Just watched the 20 minute Chrystia Freeland “news” conference. Apparently she’s promised “not to negotiate in public” which means she is unwilling to address any substantive questions at all. This week’s talks have ended but they will be back at it Wednesday of next week. Just one problem, which Freeland, of course, dodged, Trump has basically said that he is not moving on any of the key points and that he’d be just as happy to drop a 25% tariff on Canadian made cars. Kinda tough to negotiate around that. Which means that, after a week of “intense” negotiations Freeland is going back to Canada with nothing except the fact that The Donald is planning on taking his bilateral agreement with Mexico and notifying Congress that it will be signed 90 days from now.